Be the one to stand different in the crowd may it be a casual party or while you go for clubbing. And slim shaped leather pant in legging style is the perfect one to opt for from the set of leather pants that are at the happening trend in the market place. This piece in leather pant is styled in a very sizzling way by adding some characteristics to it like trendy seam detailing and low waist styling that makes the legging style pant appear dashing. 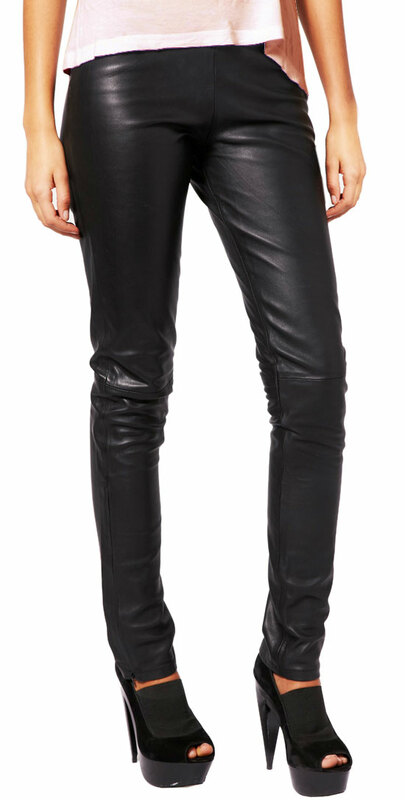 so starting making place in your vault for this trendy leather pant.